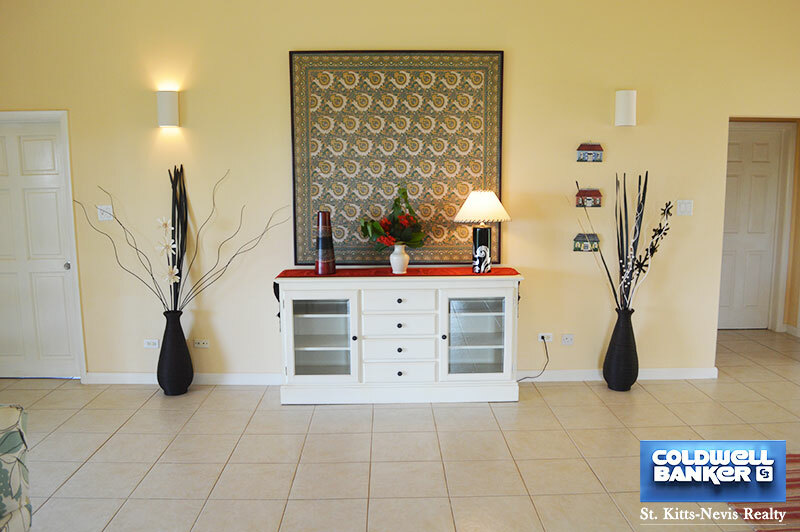 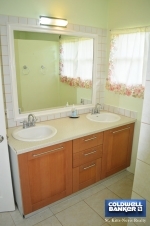 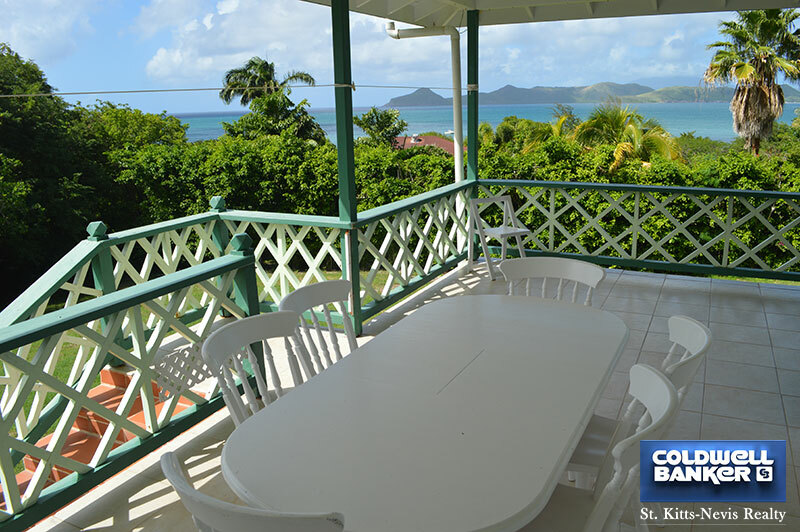 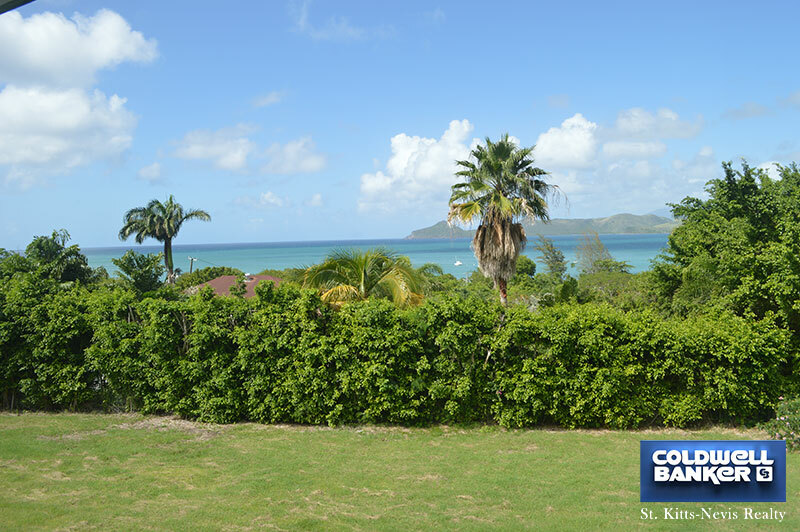 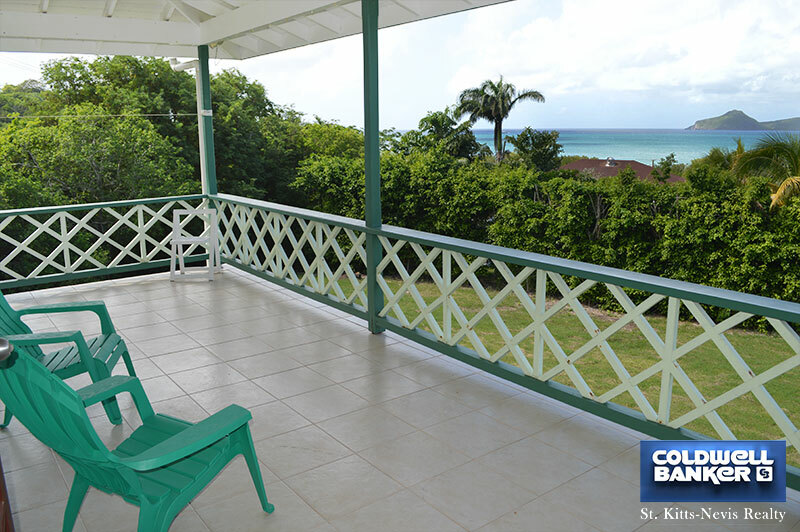 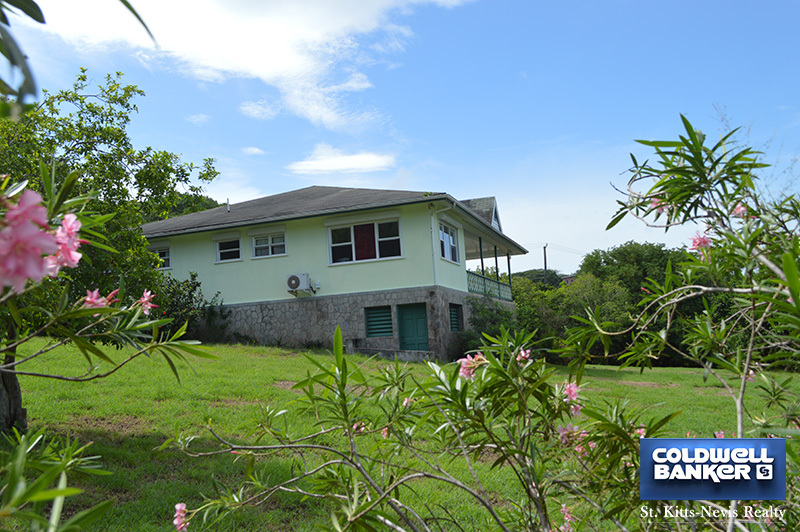 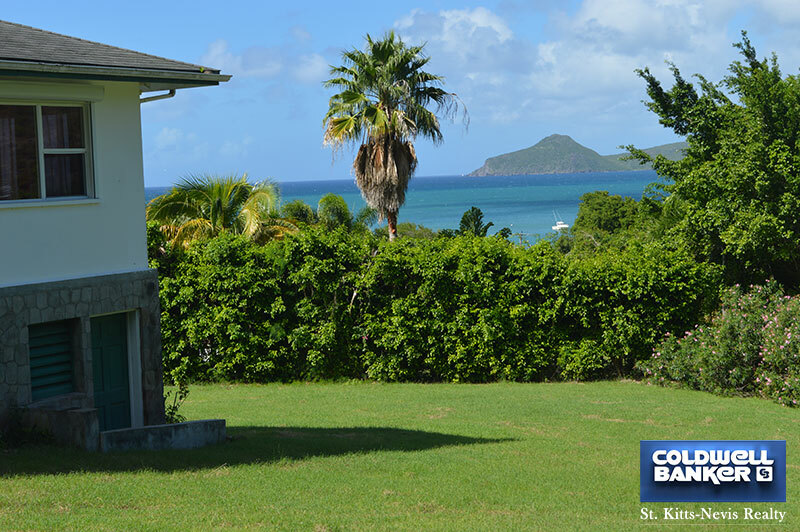 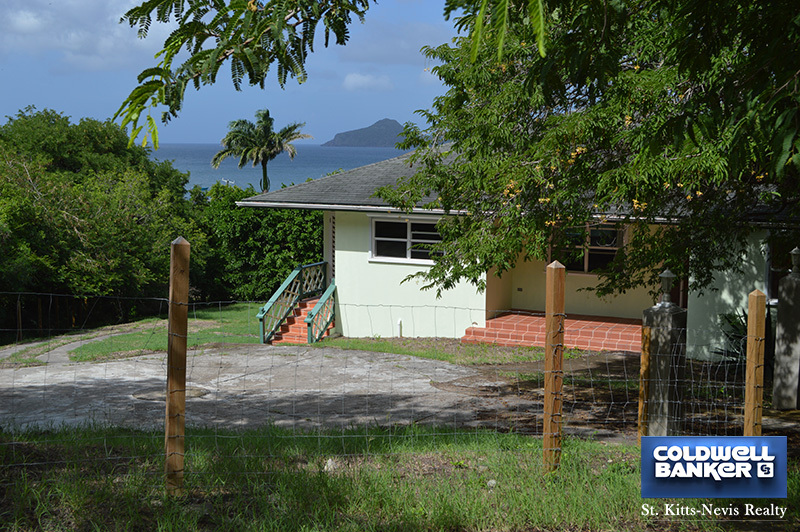 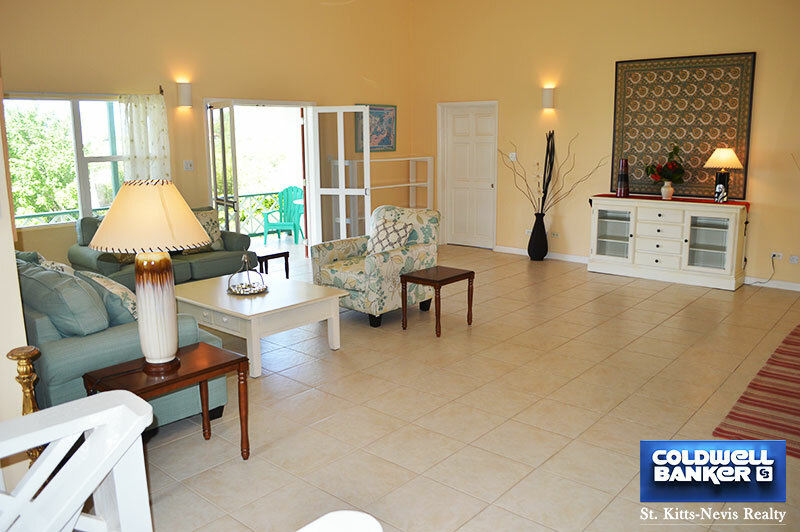 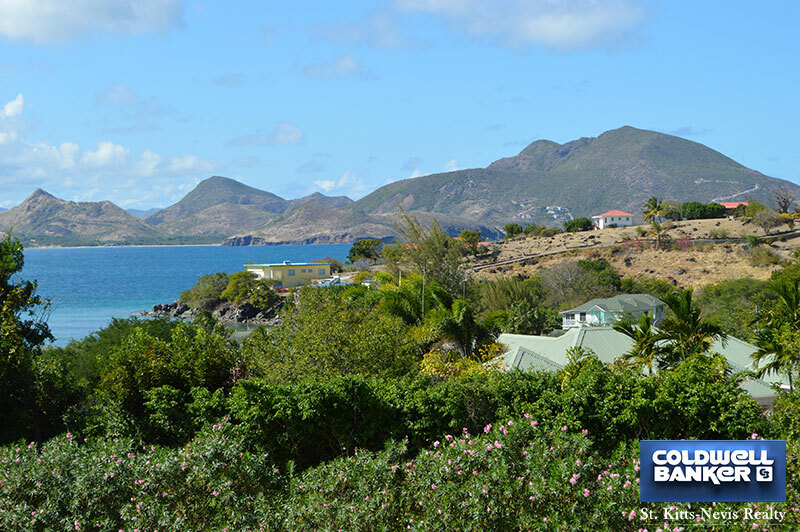 Excellent location in Oualie Bay for this recently refurbished 2 bedroom, 2 en-suite bathroom villa on ½ acre. 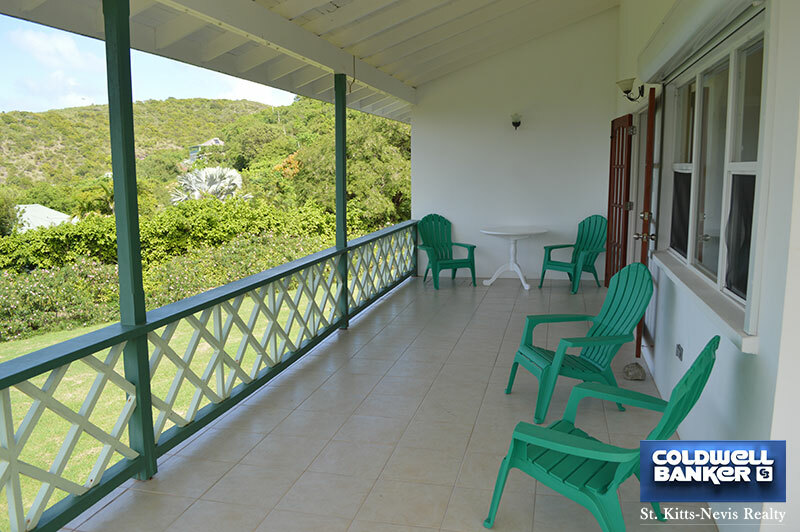 Local stonework decorates the lower level of this villa and a West Indian balustrade on the large verandah adds to this Caribbean Style. 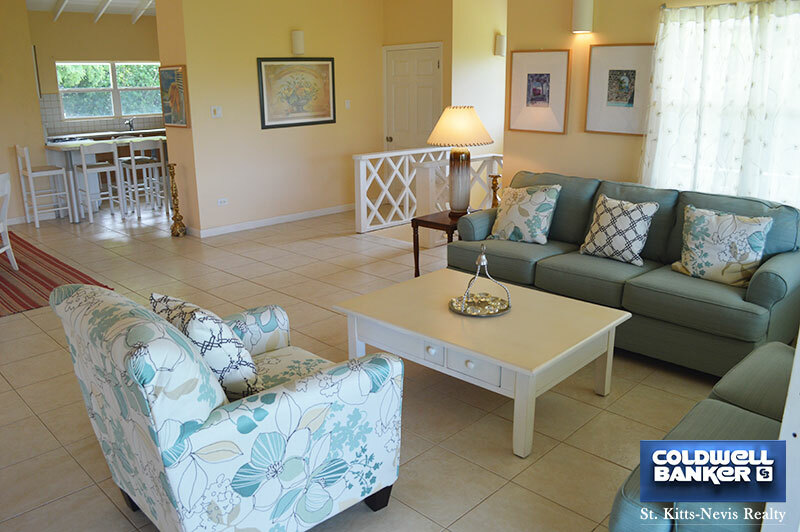 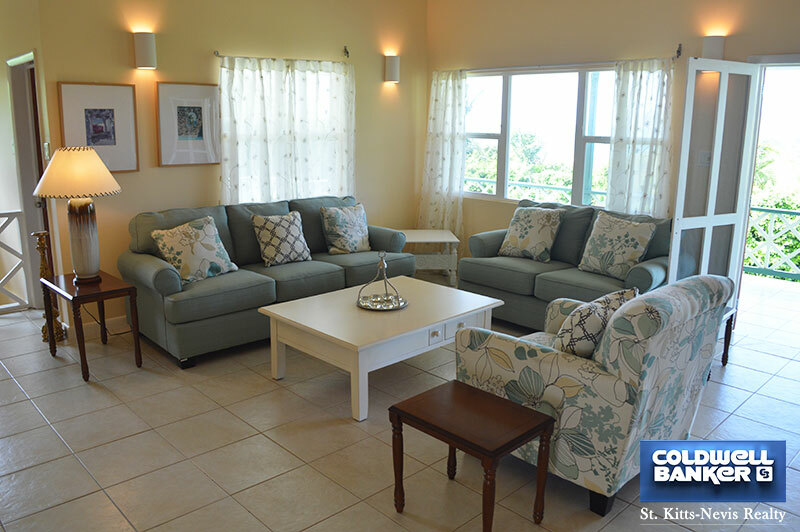 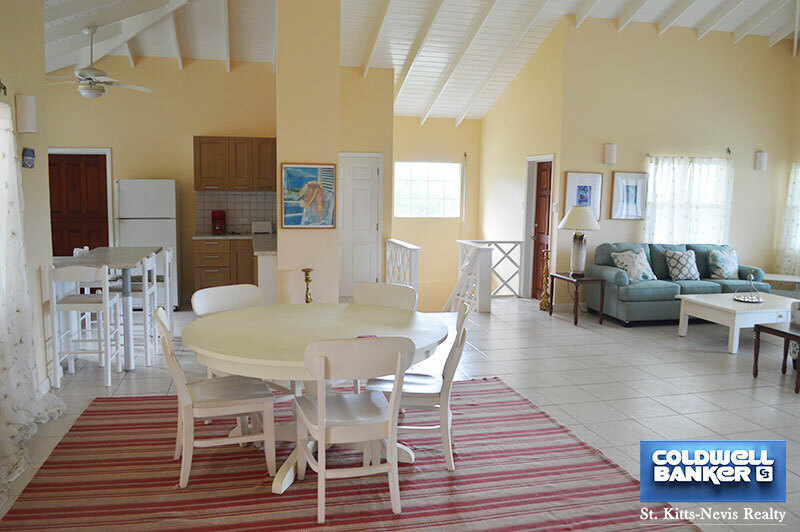 The very spacious living and dining area opens onto a large verandah with views over the Caribbean Sea and the island of St. Kitts. 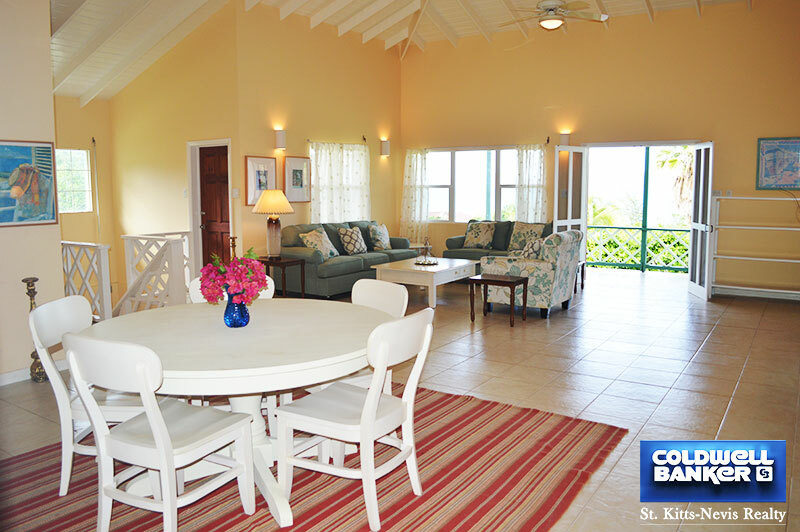 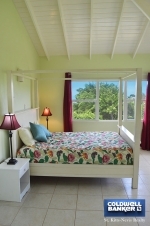 The sunsets are spectacular from here and can be seen from the Master Bedroom as well. 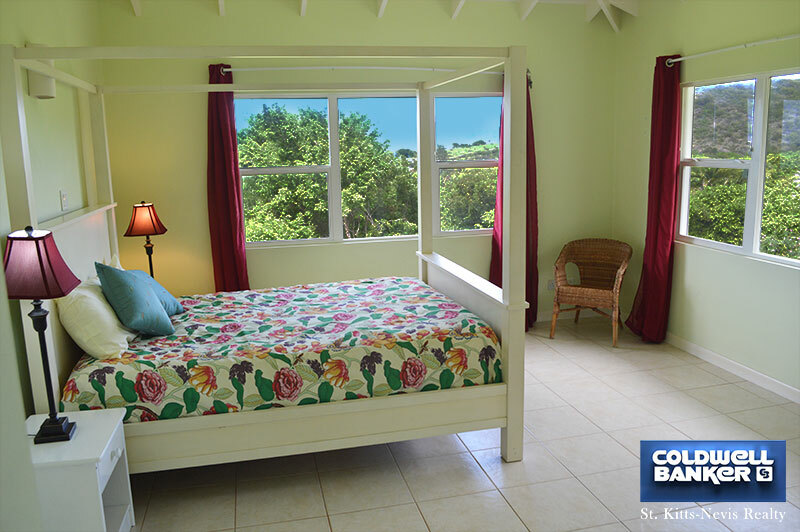 A walk-in closet adjoins the Master Bedroom. Both bedrooms are air-conditioned. 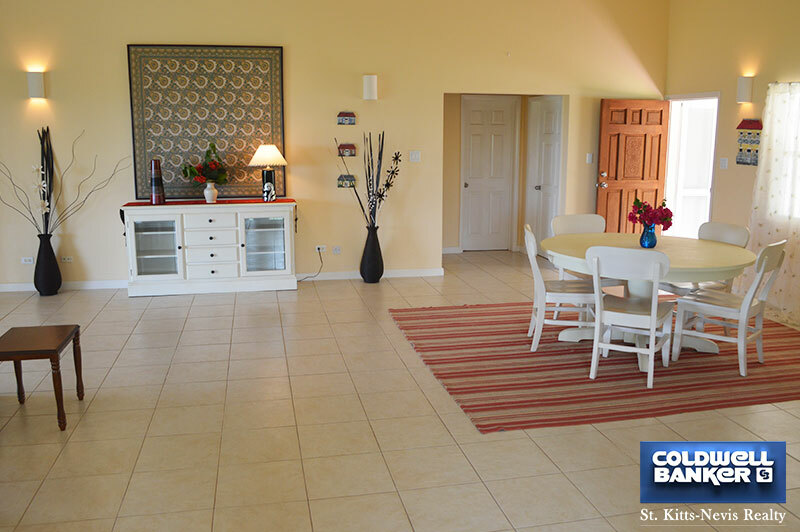 There are ceiling fans in the kitchen and living area. 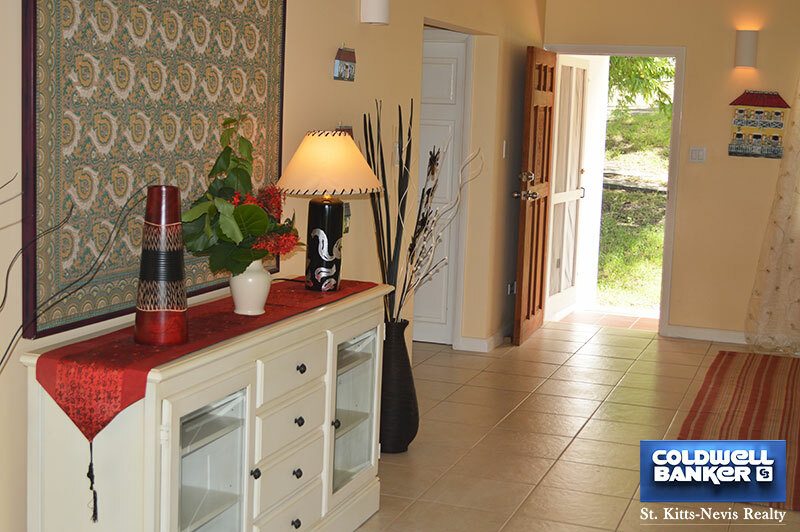 An interior stairway leads to the laundry room, equipped with washer and dryer, and to the garage. 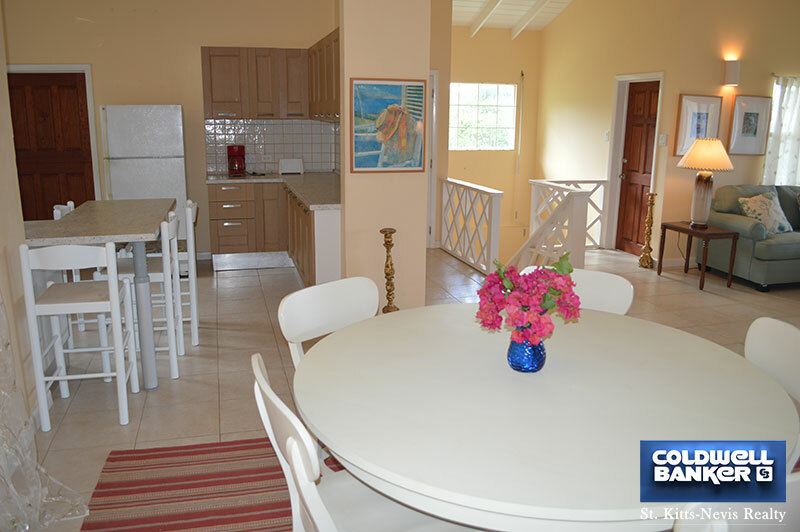 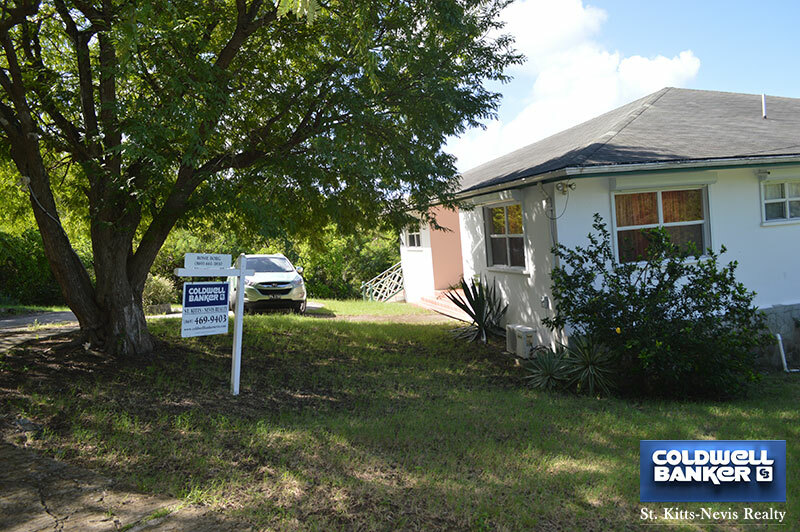 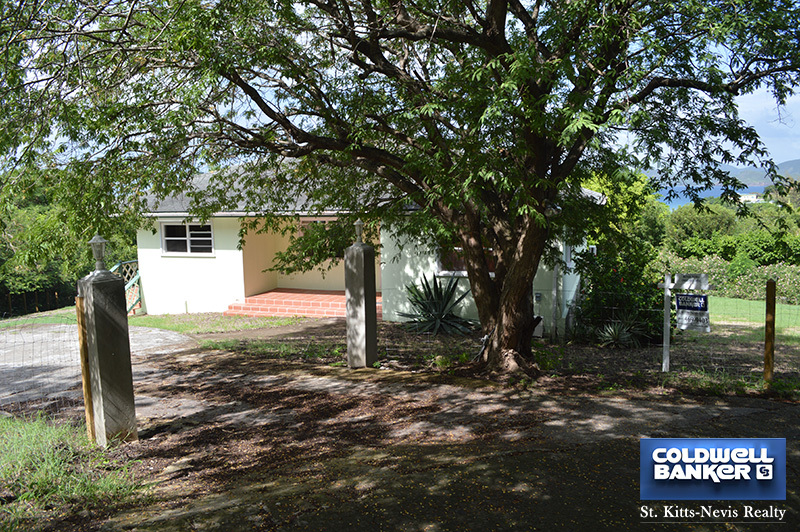 This home is being sold fully furnished and, with its excellent location for holiday rentals, is a real investment.